Our focus is reducing peak demand, properly managing loads, implementing more efficient equipment, and utilizing today¹s latest technologies to empower your business. The enabling factor behind Shift Power Solutions is our harnessing of emergent technology. We combine the legacy systems of today with state of art technology of tomorrow to provide energy management systems and solutions sets which allow you a freedom of movement to net zero emissions and a degree of independence you never thought possible. One of our core technologies is an energy management and storage system that becomes the foundation from which many additional technologies and accessories are built. This system utilizes artificial intelligence to monitor, learn and maximize your energy usage in order to reap the highest possible cost benefit ratio within each unique utility environment. As you grow the system will accommodate follow-on technologies and additions to continue to make the most of your decisions and reduce your cost of operations throughout the life of your organization. Ultimately our core system has the power to provide a full grid independent energy environment where your cost then becomes a function of maintenance and is no longer subject to external factors. Shift Power Solutions continually seeks out new technologies to merge with your legacy systems to provide a full spectrum of solutions at the most economical path possible. Embedded in our designs are simplicity and elegance in combination with an ever evolving solution set to provide full integration, longevity and reliability to all of your energy needs. Our goal is for our systems to grow with your expanding needs as well as your desire to be clean, green or independent. Its time to SHIFT! 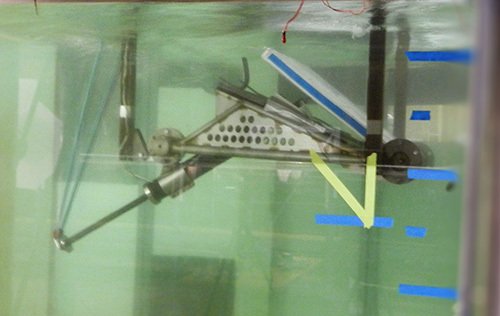 WET System for Wave Energy Transfer. To learn more about our technologies click here to go to our Products Page.